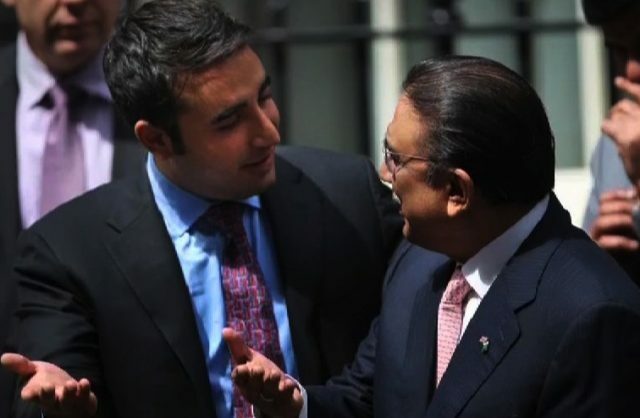 ISLAMABAD: The National Accountability Bureau (NAB) on Saturday summoned former president Asif Ali Zardari and Pakistan People’s Party (PPP) Chairman Bilawal Bhutto-Zardari in the Park Lane Estate inquiry. On Friday, PPP spokesperson Mustafa Nawaz Khokhar denied that Bilawal or Zardari had received any notices from the Bureau. Adviser to Chief Minister of Sindh on Information Murtaza Wahab repeated today that neither Bilawal nor Zardari had received any notices from NAB, and that NAB seemed to be attempting to “harass” the two by issuing statements to the contrary. “Has NAB been reduced to character assassination only?” the CM’s adviser asked.